It has apparently been a while since Sprint's been able to focus on simply growing out its nationwide coverage. While the company has expanded its LTE coverage piecemeal, announcing new markets every couple of months, it has also had to manage the networks powered by different technologies it acquired when purchasing Nextel (iDen) and Clearwire (WiMax). But after a decade of acquisitions and adjustment, Sprint may be ready to start turning things around, according to S4GRU, a blog dedicated entirely to Sprint's 4G LTE and WiMax expansions (it doesn't get much more niche than that). Sprint decommissioned the Nextel iDen network in June of 2013 with the plan to convert those sites to CDMA/LTE using the 800MHz frequency band. In addition, it seems the carrier has plans to roll out thousands of new Dualband, Triband, and Spark sites to improve coverage in rural areas and dense markets alike. 5,000 – New Urban and Suburban TDD-LTE 2600 “Spark” only sites infilling existing coverages for better signal quality, indoor performance, and capacity. It is not known if these are all macro sites or a mix of macro and pico cells. This large initiative joins smaller projects Sprint already has in the works. 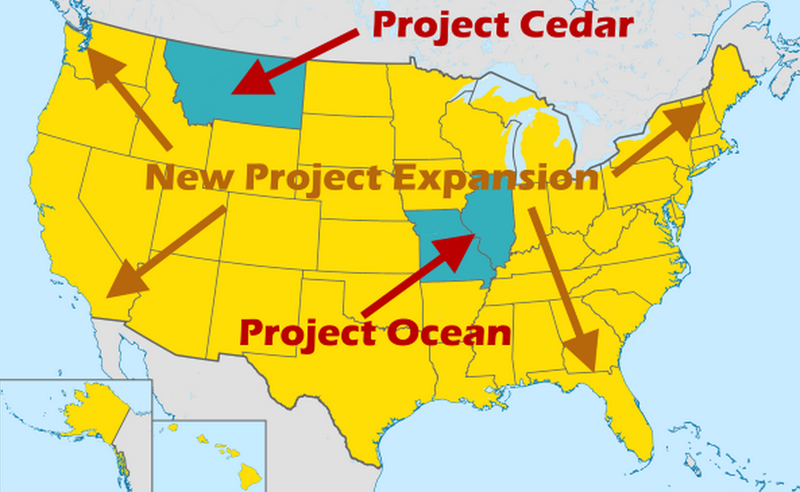 Project Ocean is focused on Illinois and Missouri, while Project Cedar is building up coverage in Montana. S4GRU provides this map of what's potentially in the works. The information here doesn't tell us exactly which markets will feel a change, but with this much going on at once, improvements should be felt all across the country. With 5,000 Spark sites going up in urban and suburban areas, it looks like Sprint may again be ready to compete. Just don't anticipate these changes overnight. These things take time, and this is Sprint we're talking about. Hit up the source link for a more thorough look at what to expect.